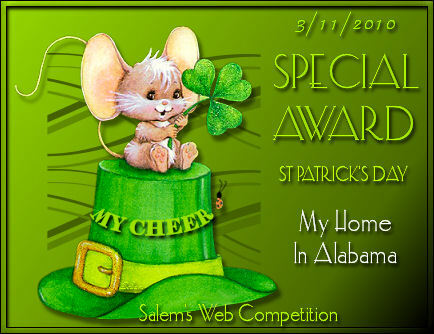 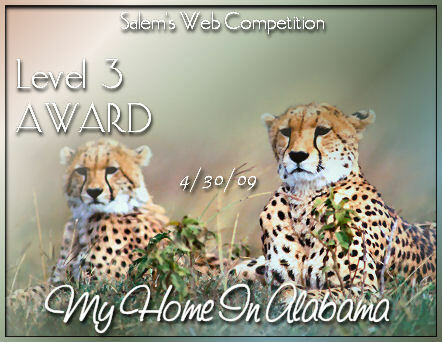 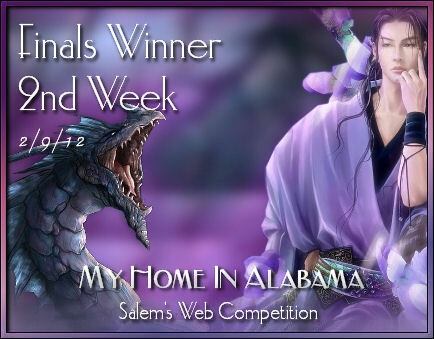 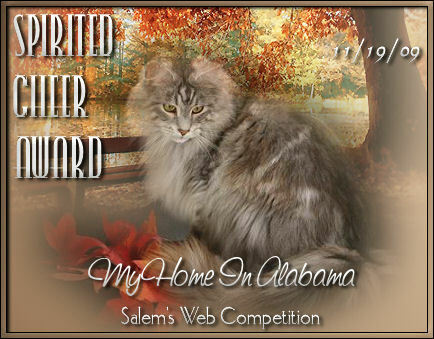 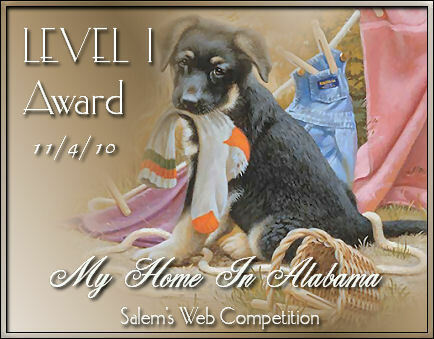 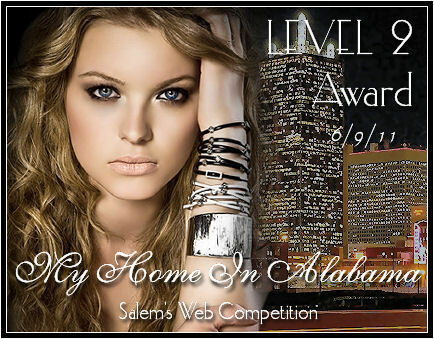 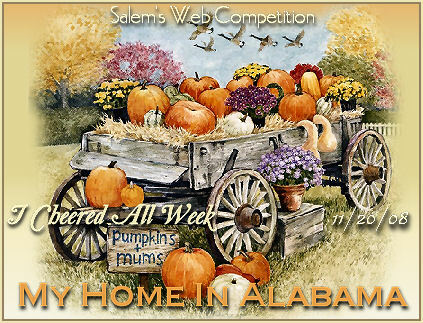 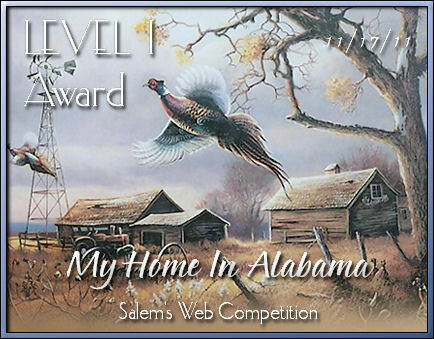 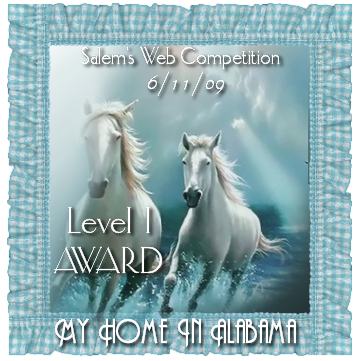 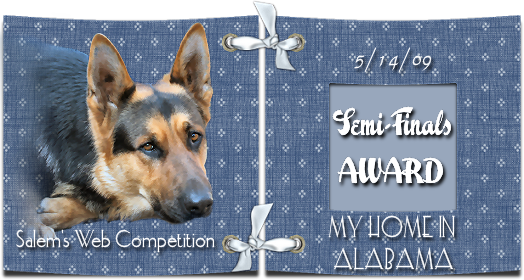 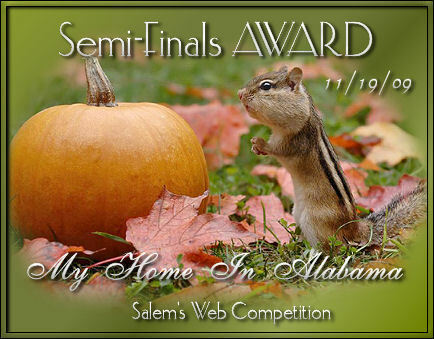 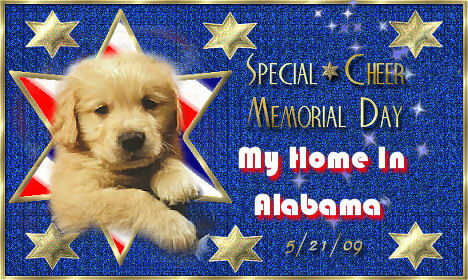 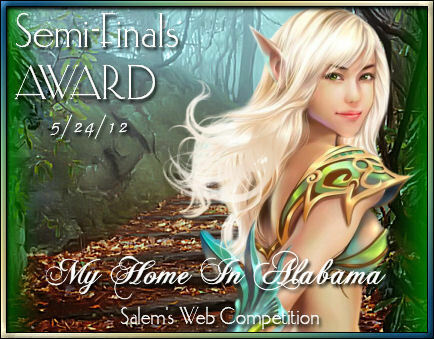 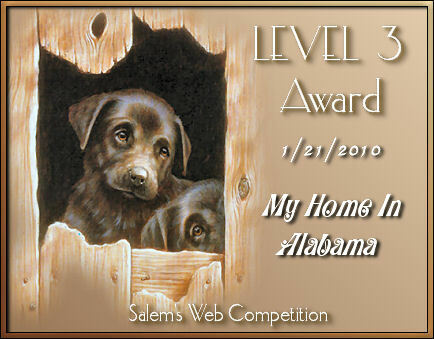 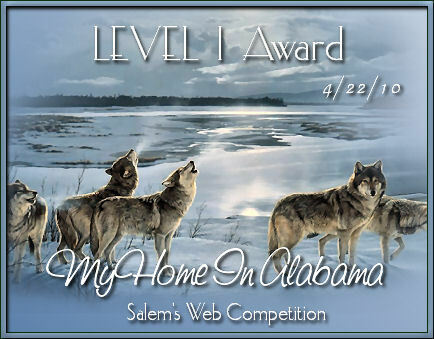 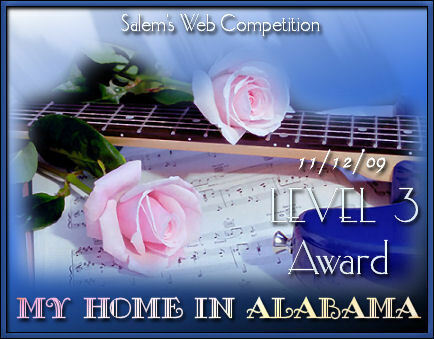 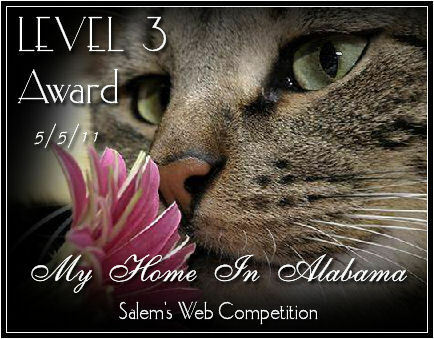 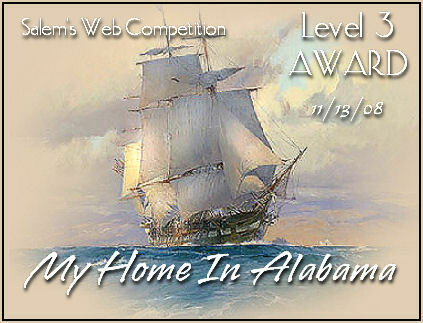 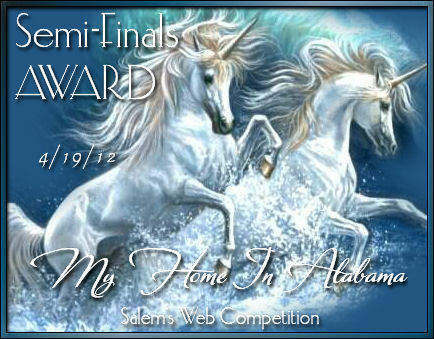 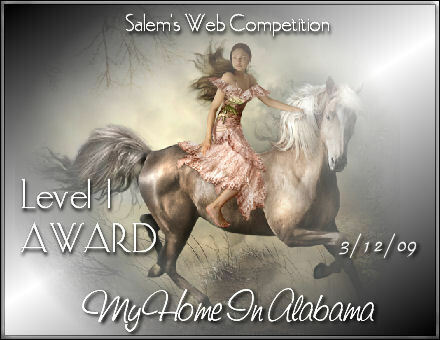 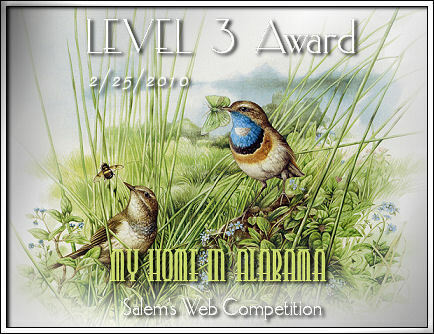 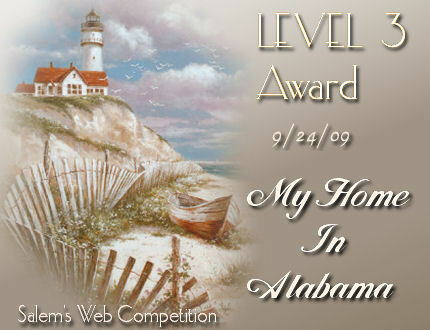 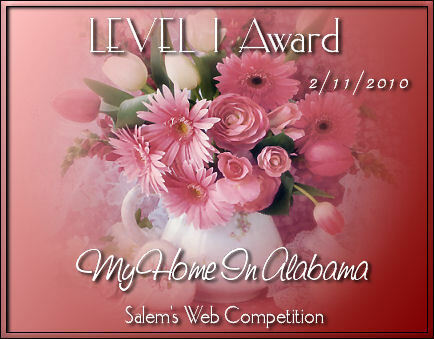 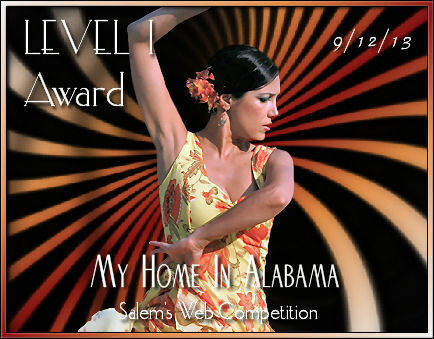 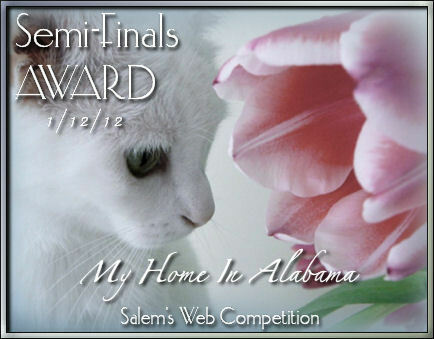 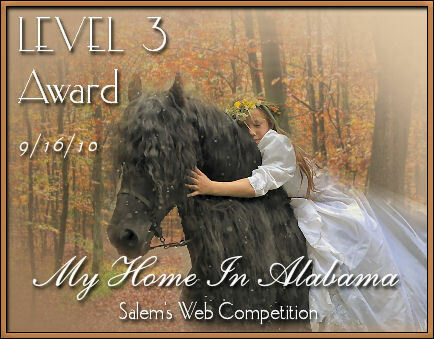 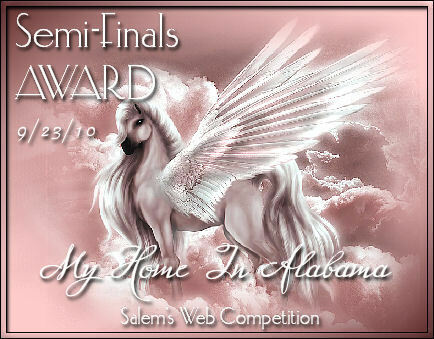 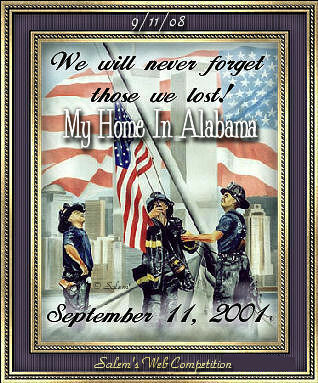 SALEM'S WEB COMPETITION SPIRIT PAGE:"My Home In Alabama"
"MY HOME IN ALABAMA SPIRIT PAGE"
Thank You For Your Daily Support of our Sites! 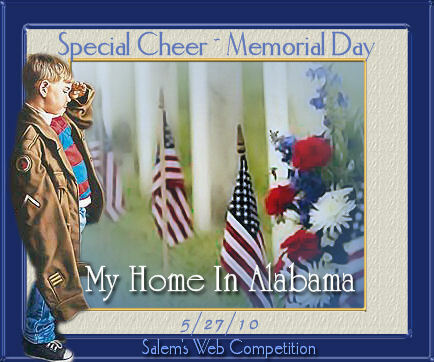 ~~Independence is an Inspiration to All Peoples! 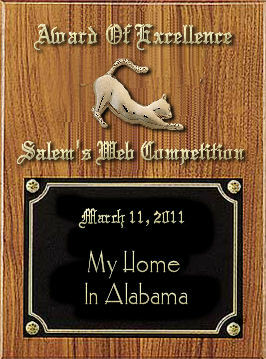 ~~And Where Nobody Goes Hungry! 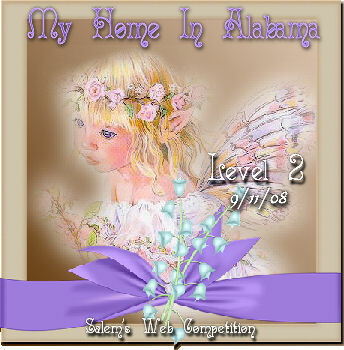 ~~And 'Each One Teach One' is still an Effort! 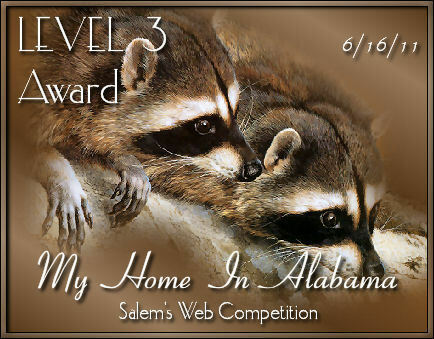 ~~As we Save the Best we have to Share with others! 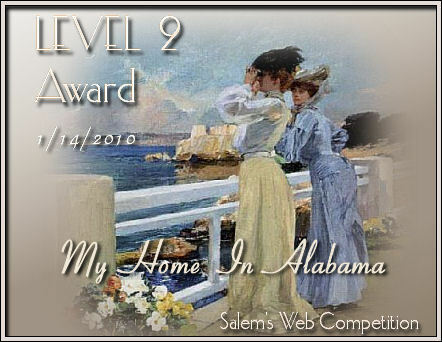 ~~Of our Friendships with Others! 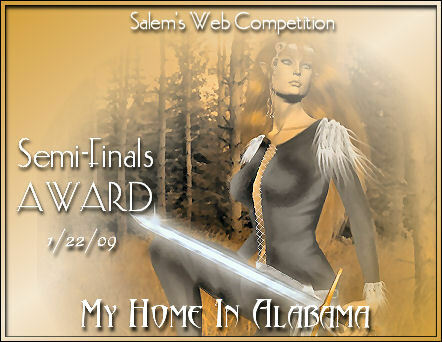 ~~Where TRUTH and HONOR will Ever Abound! 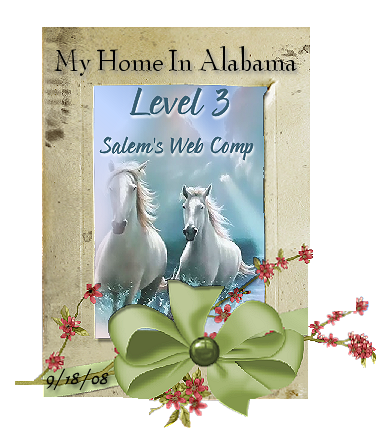 Don't miss visiting her wonderful site! 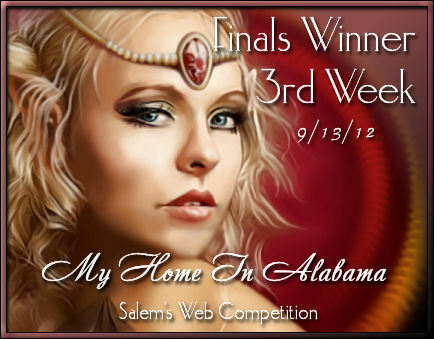 We received this beautiful graphic gift from her for our support of her site. 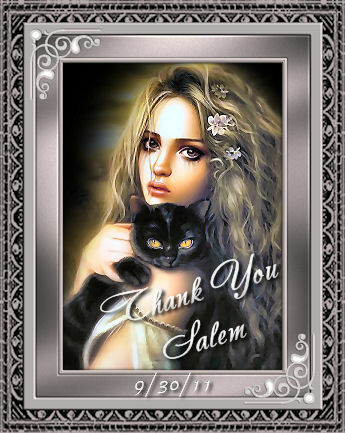 Salem, it was a pleasure to support you! 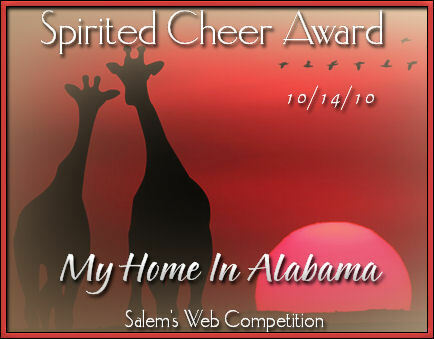 What 'Spirited Animals' we would be! 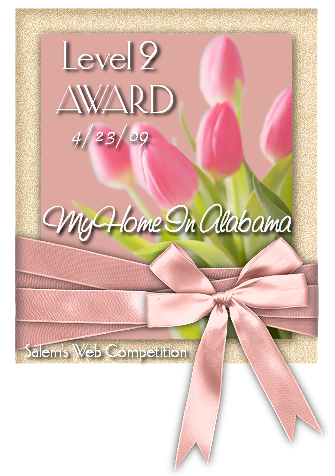 Would surely be a Breeze! "Visit our Sites and See"! 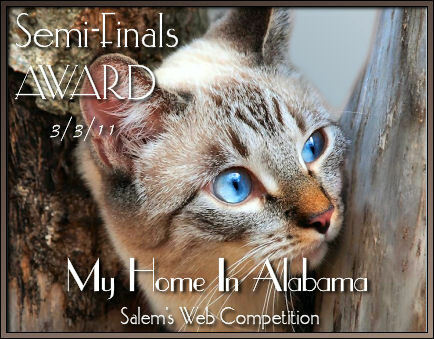 Siamese and Maltese, Cockatoo, Gerbil, and Eagle! 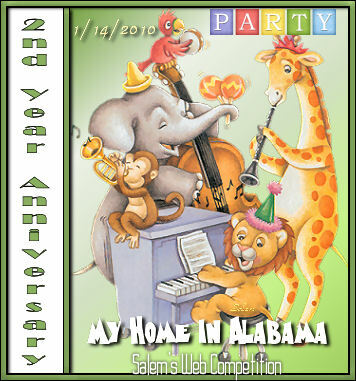 Just stop by, so You can Hear It! 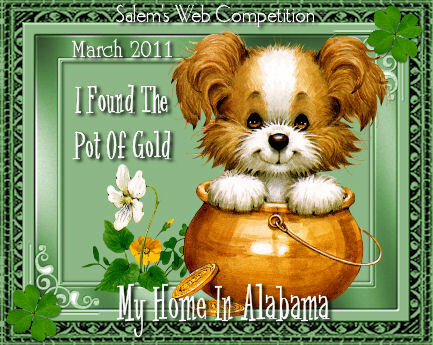 Hey, you might even meet your 'Soul-Mate'! 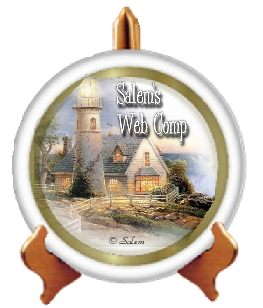 'Cause 'SALEM'S WEB COMP' is hard to Beat! 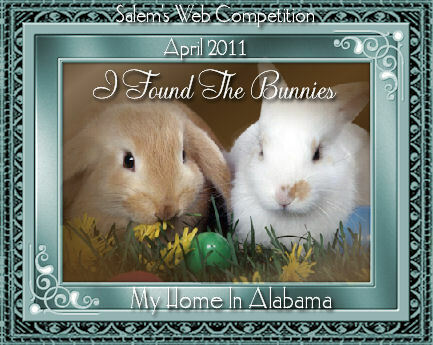 From the motion picture, starring Rex Harrison! 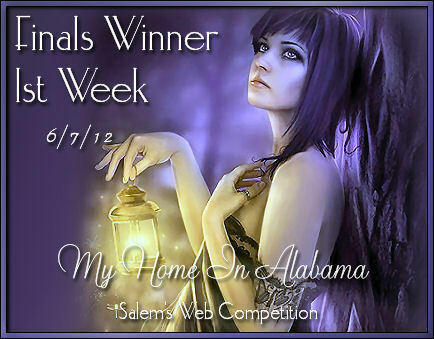 "SALEM'S WEB COMP IS THE BEST!"